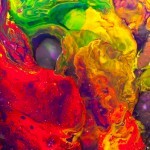 Shaman – modern abstract painting is part of art paintings prints collection created by artist G.P.Junior. In cultures around the world, the shaman holds a place of honor, using magic and natural medicine to promote health and wellness and to do battle with dark forces. 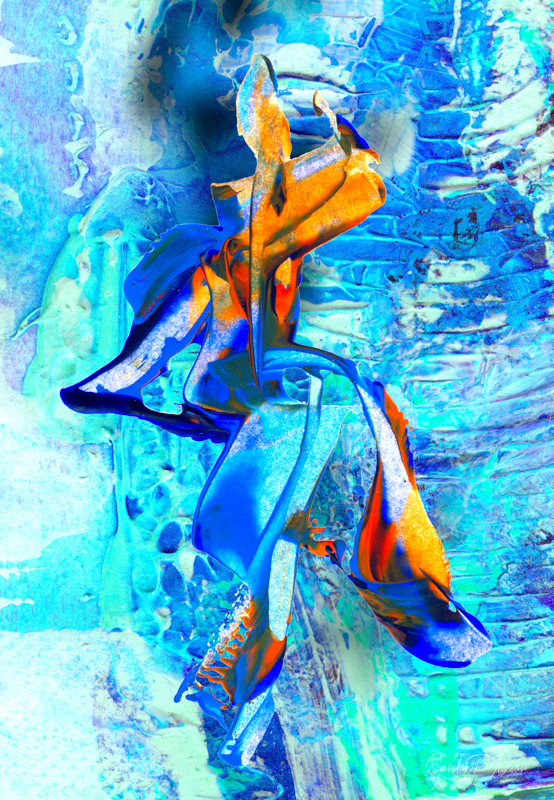 The Shaman Mixed Media Modern Wall Art Print brings to life the image of a shaman in a stylized abstract way through a mix of media that has been layered on top of one another to create a dynamic vertical composition. 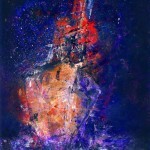 You can see the figure in the tones of gold, orange, red and royal blue standing out against the textured background in shades of aqua, blue and violet.